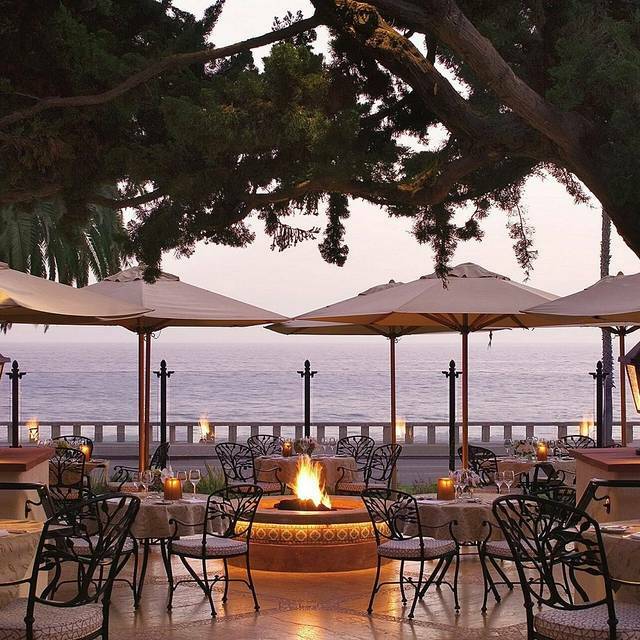 You must make reservations at least 5 minutes in advance of the time at Bella Vista at Four Seasons Resort The Biltmore Santa Barbara. We frequent this place. This was out first time with an experience like this. Chicken was raw. Sent back, came back raw again. Manager offered a ridiculous excuse. Took it off the bill though. Colossal disappointment for this visit. Do not miss the pasta experience! The service was perfect- super friendly and I knowledgeable. Beautiful views and just a great evening. Pricey but so worth it. Reunion with family. Beautiful view. Great service. Great ambience and wonderful food, thoughtfully served. I'll be back soon! Service is always spectacular! The food is amazing and the staff is so very friendly. I love coming here! I have been here twice before a few years ago and the only thing I missed on this visit was the Eggs Benedict station which was my favorite part! Hope you consider bringing it back. Although, the sushi and crab legs were fantastic! Thank you for a great experience every time. My Westmont student was very happy to have Mom and Nana pay for beautiful dinner! 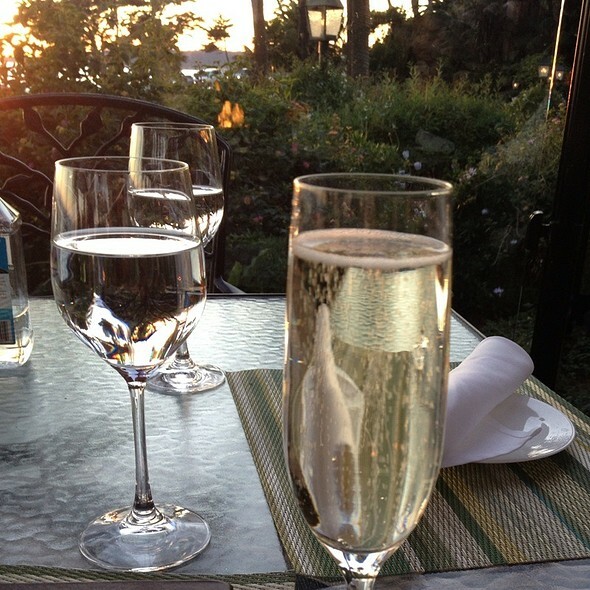 It was a beautiful evening to sit on the patio and watch the ocean and lovely grounds of the hotel. Our server, Crispin, was a pure delight. The food was exceptional. We hadn’t been to the restaurant for 15 years. We will definitely be back several times. It was lovely. First time to visit. No doorman or valet in front upon arrival. Had to park on street. Did not encounter a single hotel staff until we searched and found the lobby. Property is beautiful and the outside dining area amazing. The staff were nice and our waitress was great. Food was okay but atmosphere with the live guitar was most appreciated. Service was fantastic and food was delicious and fresh. We loved the farm to table menu and you can’t beat the view! This was a wonderful dining experience. Highly recommend. Will head back soon. 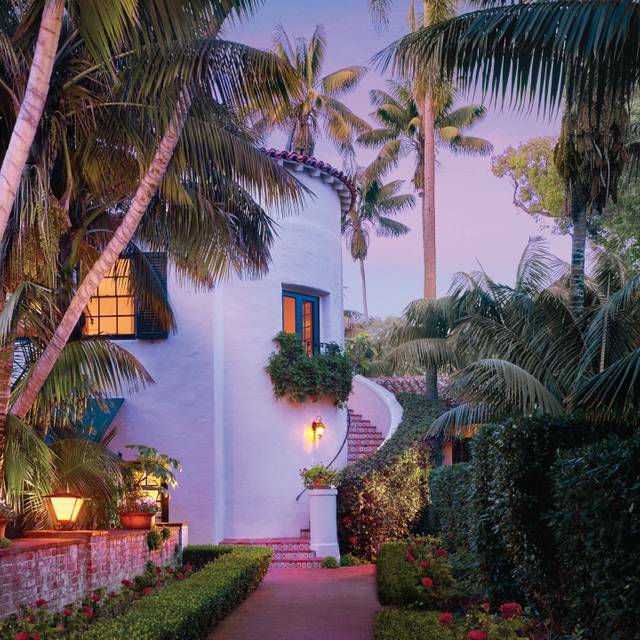 We are fortunate to live in Santa Barbara where there are numerous dining adventures awaiting. The Bella Vista is set aside for special annual occasions for us due to its atmosphere, quality of food, service and the sunset views. One can taste the freshness and quality of the pasta hand made on premise. The Beet risotto made a striking, colorful bed for the three seared scallops to rest upon. Thank you Benjamin for the excellent service! 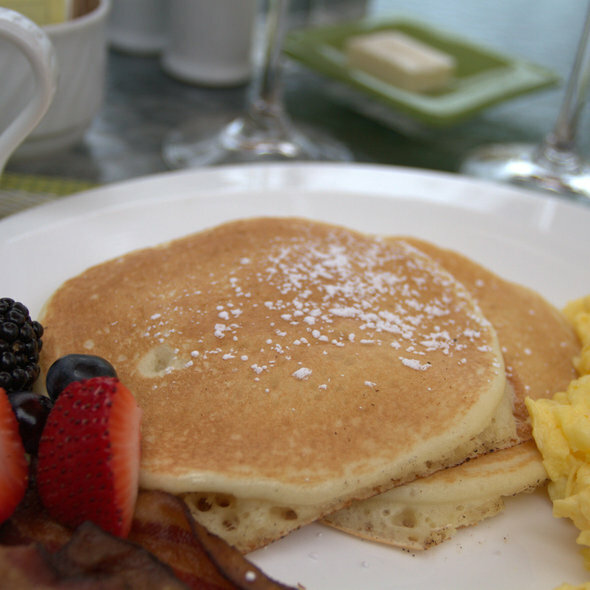 Everything about our brunch there was outstanding, service, food, and ambiance was unparalleled. Wonderful spot, especially for a special occasion. If the weather is nice, sit outside to enjoy the view. The patio is wonderful, well worth the trip up the coast! Food is good, if pricey, but the view is worth it all. The waiter named Chrispan was the best waiter we have ever had!! Food and ambiance spectacular as well! Bring back lobster buffet nights!!! The food was creative, delicious & beautiful. The view stunning as the sea is framed by the lush garden that skirts the patio. The hotel building, grounds & interior design are exquisite. The service was at times irritatingly neglectful as it diminish the experience. I was Disappointed that there was not a fish option nor a daily special. 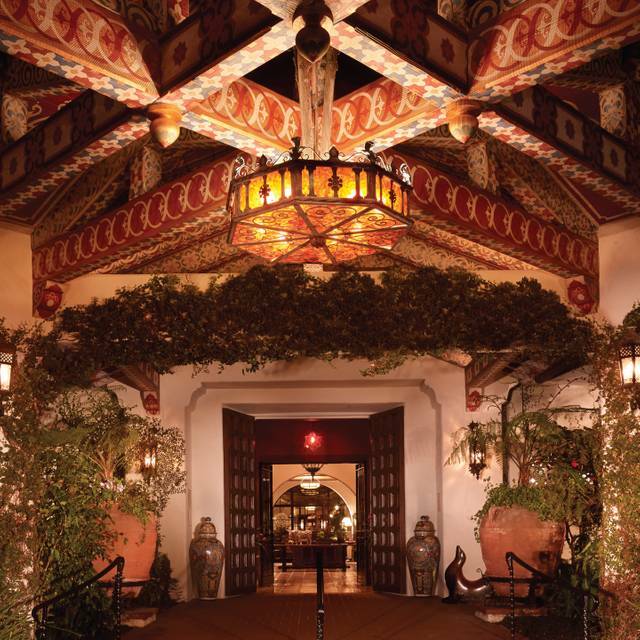 This is one of the finest restaurants in all of Santa Barbara. Dining on the patio at sunset, looking out to the ocean and the Channel Islands as the dolphins swim by, eating delicious and beautifully presented high quality food together make for an unforgettable experience. Outstanding in every way. When beautiful surroundings meet great food and outstanding service, you know you are in the right place. It was a very busy Sunday afternoon and other than waiting for a table outside (everyone wants a table with a view), our visit was memorable. The Brunch buffet has King Crab legs, shrimp, sushi and sashimi, egg rolls, steamed dumplings, noodles, all sorts of grilled vegetables, a kid station, pastries, deserts with ice cream station, pastas, blinis, waffles, fruit, salads, carving station and egg station. Plenty of vegetarian options. The menu reflects the Chefs taste in items like pasta al cacio pepe. I was surprised to see the very over cooked rigatoni with San Marzano tomatoes. Maybe the only thing on the buffet that was somewhat uninspired. Never ending mimosas and maniacal service from Maurice who discreetly changed our silverware a dozen times and kept our glasses full. The restaurant doesn’t guarantee you a table outside but it’s worth the wait. Really! Unless you want to sit closer to the stations (all located indoors) or mind the sun glare or a bit of heat. To end, Maurice got us an anniversary chocolate ganache that was fantastic.If this place was closer to home, I’d be here every Sunday morning. Delightful oceanview venue, serene and relaxing, warm and attentive service, generally great food. My husband raves about the gnocci, which he considers the best he's ever had, better than Italy! Limited but high quality wine list. A treat every time we visit! Excellent food and service. It would be nice if they expanded their dinner menu to include additional dishes. You may wish to preview their menu. View and service is amazing! Was not overly impressed with food. Service could not have been more accommodating by waitstaff. We had the sea bass, halibut and steak. Everyone enjoyed their meals. The only issue we had was trying to change our reservation time. We were told we needed be present by a certain time as their booking was full. During dinner we noted that half the dining room indoors was empty. When on vacation it would be nice to have more flexibility in changing rsvp times when the restaurant is not fully booked. The food was delicious and the setting can’t be beat. 2 of us got the pasta experience and our pasta was tossed in a large round of Parmesan tableside. Prices were higher than I remember and the portions weren’t very big but I will definitely be back. My husband and I are in town celebrating our anniversary, and Sunday Brunch being one of my favorite indulgences, we were not disappointed! Beautiful setting and great service. The salmon tartar was drenched in sauce. Both my husband and I tasted it and didn't detect any flavor or freshness other than the bland creme-fraiche it was covered in. We didn't eat it, told the waiter is wasn't good - he removed the plate and then we were charged $18 for it anyway. I would expect better reciprocation from a Four Seasons restaurant. The rest of the food was okay, but not memorable. I would definitely go back again for drinks, the setting and the service, but unfortunately not for the food. Worst food and worst restaurant in Santa Barbara. 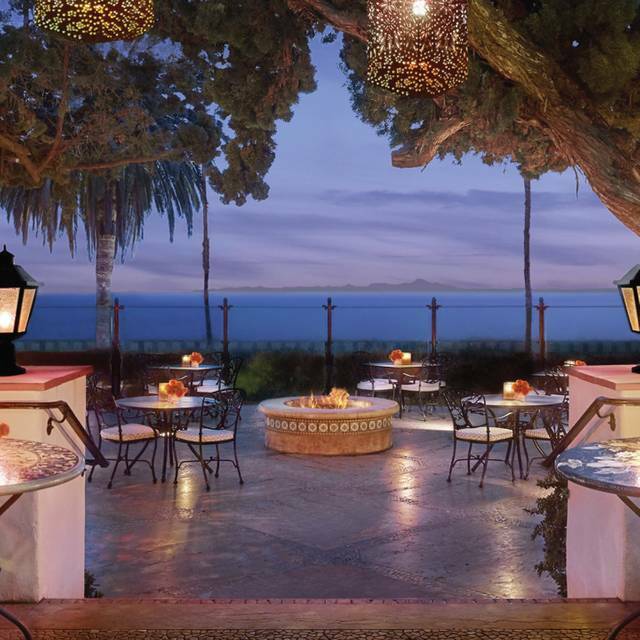 I live just three or four blocks from Bella Vista at the Four Seasons Santa Barbara. Growing up during the 1980s and early 1990s, this was one of my family’s favorite restaurants, particularly to celebrate special occasions. 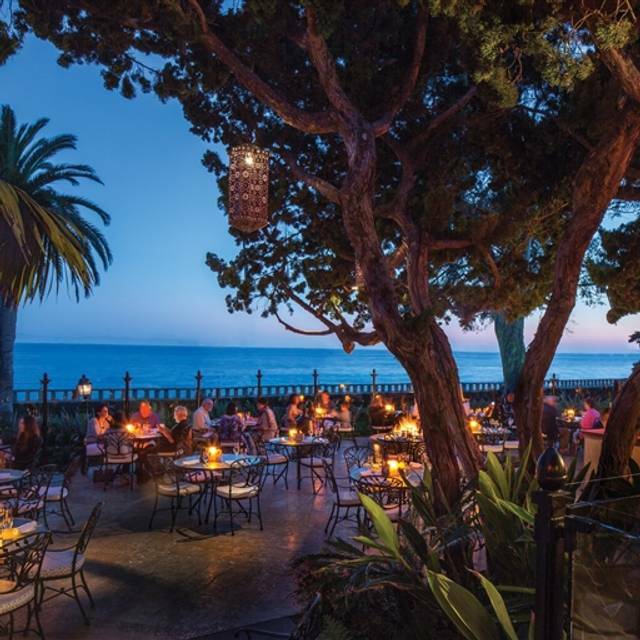 However, for the past 10 or 15 years, this has been the worst restaurant in Santa Barbara, particularly because of the poor food quality, poor service, and poor value. There is no doubt that Bella Vista has one of the most beautiful views in the world. On the other hand, poor food quality and even worse management make this one of the least popular restaurants in Santa Barbara. When all of the other restaurants in town are booked on Friday night and Saturday night, Bellavista is almost completely empty. My children and I dine out four or five days per week, and we never think about dining at Bella Vista because the food quality is so poor and the prices are so high. I am willing to pay for great quality food, service, and ambience, but I am not willing to pay extra for poor quality food and poor service. When we arrived at the restaurant, my daughter and I could not find any food on the menu that interested us. It seems that the chef is more concerned about demonstrating his culinary abilities to combine unusual foods at the expense of guest satisfaction and flavor. I can understand having a few gourmet items on the menu that taste terrific, but there should be some balance, particularly when the menu is limited to about five entrées. My teenage daughter could not find anything she liked on the regular menu and ordered off of the children’s menu, and her macaroni and cheese, french fries, and peas were totally inedible. I ordered the $50 spaghetti, and the noodles were served cold. Management does not seem to want to operate a successful restaurant. Had a very pleasurable experience at the Bella Vista . 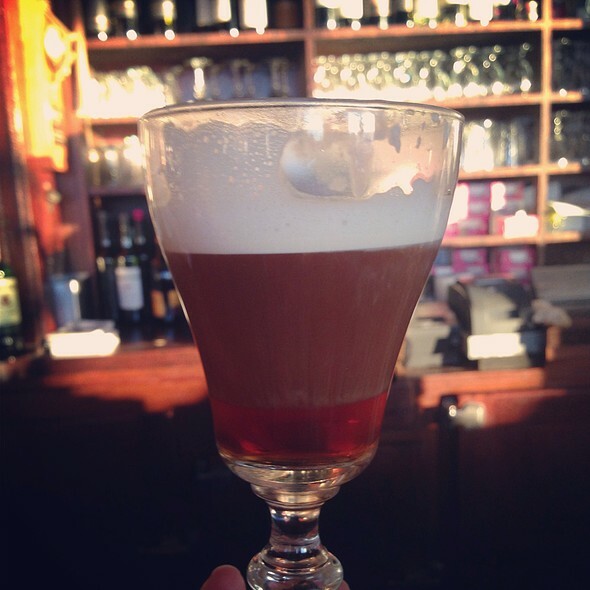 Outstanding service , from the hostess to the wait staff as well as delicious food and well crafted drinks . I will be looking forward to my next visit. Everything was impeccable from the time we walked in the door. What a beautiful dining experience! Beautiful view and outstanding food wish we stayed for the brunch! My reservation for 4 turned into a party of 10 just before we were seated. The wait staff was gracious and accommodating. We especially enjoyed the lamb and salmon. Chef Kevin greeted our group to describe how he prepared the lamb. We were seated inside by the large fireplace which was perfect on a chilly evening. From beginning to end the service here was impeccable. All staff members were professional & paid close attention to service details. We already have plans to eat here again while at the Four Seasons. Went for Restaurant Week. No choice for the courses and main dish was spaghetti in a cream sauce. No veggies, nothing with it. Tiny portion. Came home hungry. Service slow and confusion with the bill. Other restaurants where l ate for restaurant week offered 3 choices for each of three courses. Spaghetti served called the same as the $42 spaghetti on their dinner menu. However what we were served was tasteless and unattractive. Do not go to the 4 Seasons expecting a nice dinner during Restaurant Week.